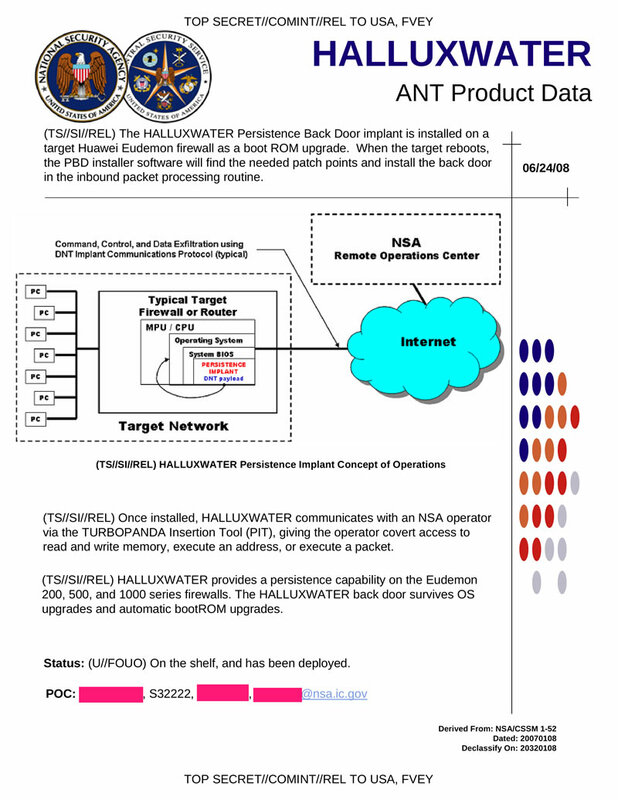 The HALLUXWATER Persistence Back Door implant is installed on a target Huawei Eudemon firewall as a boot ROM upgrade. 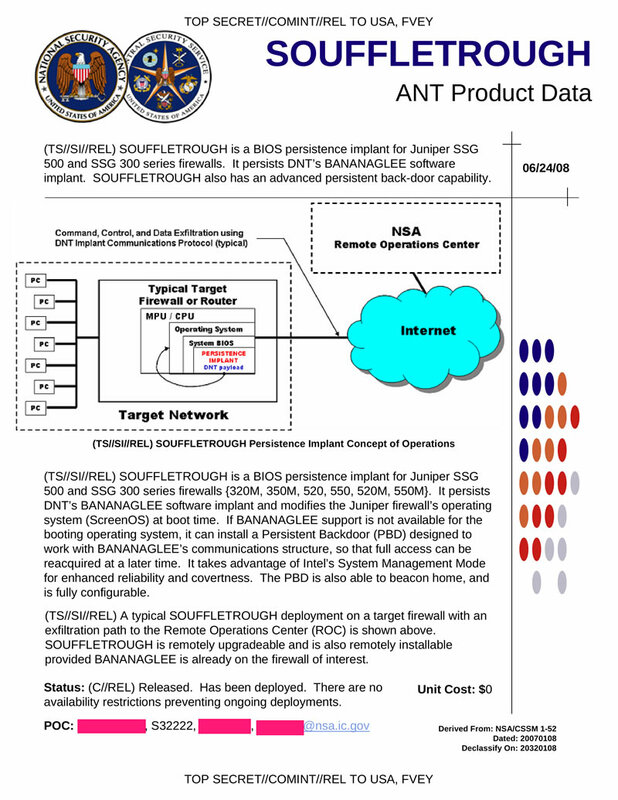 When the target reboots, the PBD installer software will find the needed patch points and install the back door in the inbound packet processing routine. 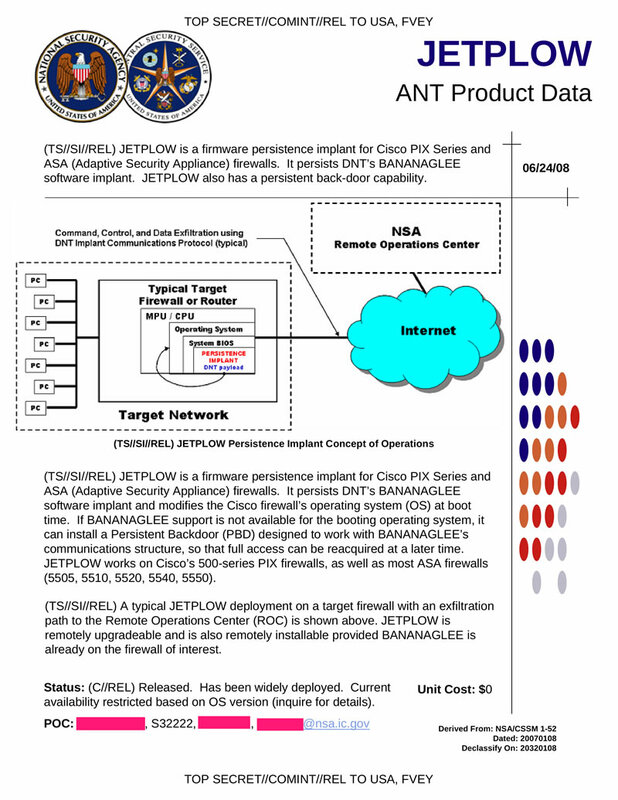 GOURMETTROUGH is a user configurable persistence implant for certain Juniper firewalls. It persists DNT's BANANAGLEE implant across reboots and OS upgrades. For some platforms, it supports a minimal implant with beaconing for OS's unsupported by BANANAGLEE.